The book of Proverbs is the central wisdom book of the Old Testament. Like the book of Psalms, it is a “collection of collections.” The individual proverbs were composed by different authors (e.g., Solomon, Agur, Lemuel) over a period of time and finally collected into a single book. The Proverbs are too often neglected by Christians today, but they are also too often misunderstood. There are a number of helpful commentaries on Proverbs, and the following are five of the best. 1. Bruce K. Waltke — The Book of Proverbs: Chapters 1-15; The Book of Proverbs: Chapters 15-31 (New International Commentary on the Old Testament, 2004, 2005). Sometimes recommending the best commentary on a given biblical book is difficult. In the case of Proverbs, it is simple. 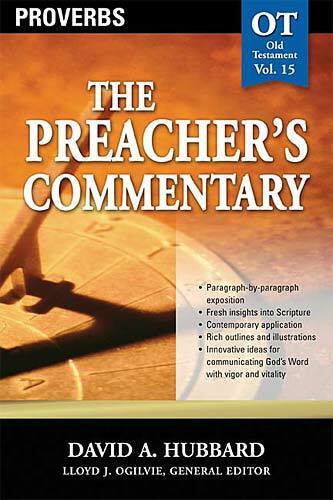 Bruce Waltke’s two-volume commentary is truly a gift to the church. The introduction in the first volume thoroughly covers issues such as genre and the theology of the book. The commentary proper reveals Waltke’s comprehensive grasp of all of the issues related to the interpretation of this inspired book. Very highly recommended. 2. David A. Hubbard — Proverbs (The Preacher’s Commentary, 2002). Those who are preaching or teaching through Proverbs will want to supplement Waltke’s work with a commentary that reflects on various issues related to application. Hubbard’s work is the best place to turn for this. While not as comprehensive as Waltke, Hubbard does not neglect addressing the difficult questions, all the while remaining clear and readable. 3. 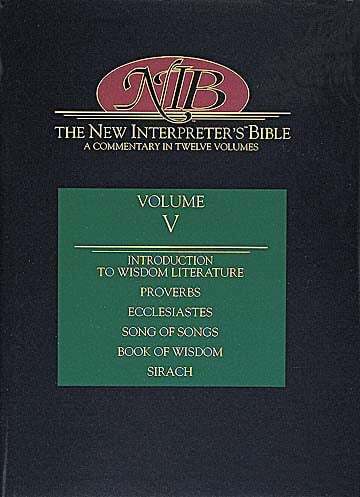 Raymond C. Van Leeuwen — “Proverbs” in The New Interpreter’s Bible (1997). Van Leeuwen is a recognized scholar in the field of biblical wisdom literature, and his understanding of this genre is reflected in his commentary. There is more reflection on the theology of the book here than in most commentaries. 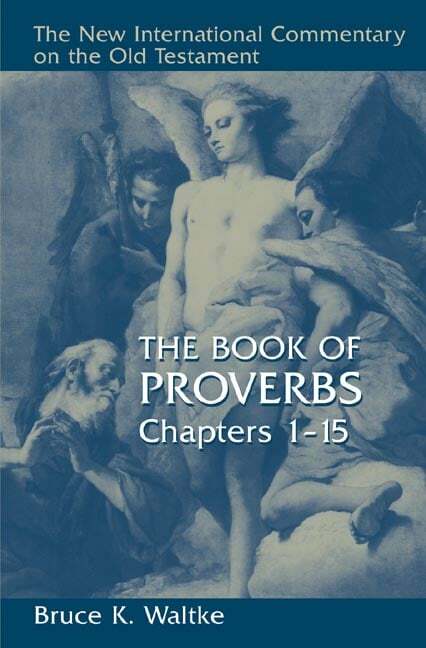 If you can find a copy in a library, this work on Proverbs is worth consulting. 4. 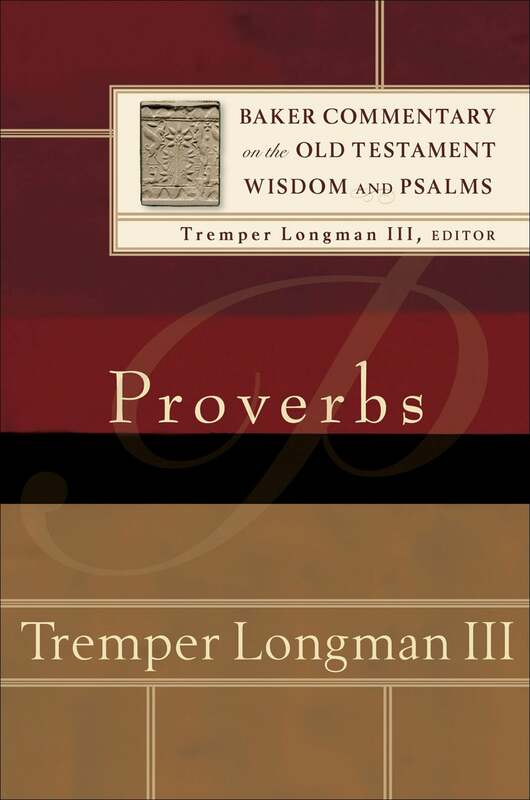 Tremper Longman III — Proverbs (Baker Commentary on the Old Testament Wisdom and Psalms, 2006). Longman is the general editor of the Baker Commentary on the Old Testament Wisdom and Psalms, and the contributor of the volume on Proverbs. Longman deals not only with the details of the text, but also with literary and theological questions. This does not mean, however, that the book is overly technical and inaccessible to laymen. It is quite readable. All in all, I find this commentary very helpful in getting to the heart of the matter of the text. 5. 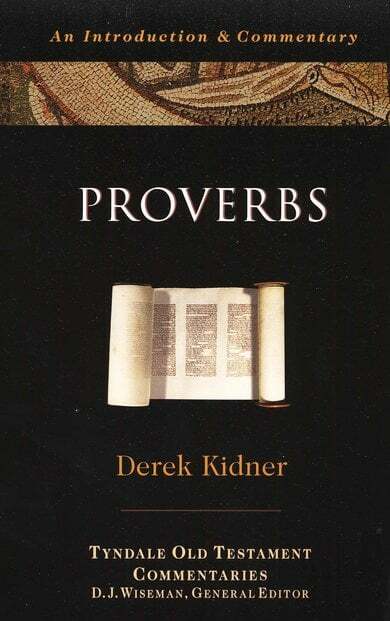 Derek Kidner — Proverbs (Tyndale Old Testament Commentaries, 1964). As noted in the introductory comments to my post on the Top 5 Job commentaries, Kidner has written one of the more helpful introductions to biblical wisdom literature. Here he applies that knowledge to one specific example, the book of Proverbs. As with the other Tyndale commentaries, this is an introductory level work, but it is probably the best of the introductory level works on the book. There are a number of other helpful commentaries on the book of Proverbs. Among them is the classic work by Charles Bridges. On an introductory level are the works by David Atkinson and Eric Lane. In the intermediate to advanced range are the commentaries by Roland Murphy, Paul Koptak, Allen P. Ross, Duane Garrett, and John Kitchen.